Home Miss Universe RUMOR : Miss U Org. To Increase Candidates' Age Requirement from 27 to 28! RUMOR : Miss U Org. To Increase Candidates' Age Requirement from 27 to 28! In a recent post of Missosology, rumor has it that Miss Universe Organization is seriously considering an increase in the age cap of contestants, from 27 to 28. There could be a lot of possible changes for ‪Miss Universe‬ under management of WME/IMG. The latest official rules of the Miss Universe pageant say that candidates should be between 18 and 26 years old. Aside from being unmarried and childless, International beauty pageants like Miss Universe strictly prohibits age fabrication or age range of the candidates. Last year, Miss USA Olivia Jordan has responded at critics who think 27 is "too old" to be Miss USA. Jordan was 26 when she was crowned Miss USA in July and turned 27 (September 28) when she competed in Miss Universe 2015. Did you know that at age 26, Reigning Miss Universe Pia Wurtzbach is one of the oldest title winners in the history of the international pageant. 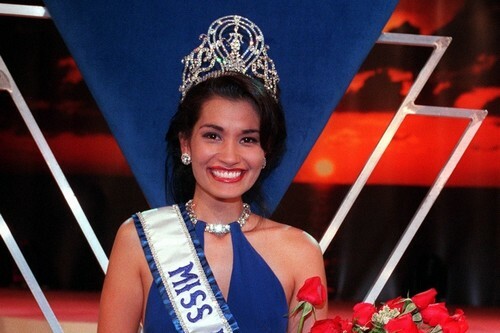 She joins Brooke Lee of the US and Wendy Fitzwilliam of Trinidad and Tobago , who were both 26 when they won the Miss Universe crown in 1997 and 1998, respectively. At 17 years and 303 days old, the first-ever Miss Universe – Armi Kuusela of Finland – is the youngest to be crowned as winner back in 1952. Based on the data available, most of the Miss Universe beauty queens were crowned at the age of 18. From 27-28? What are your thoughts about this?